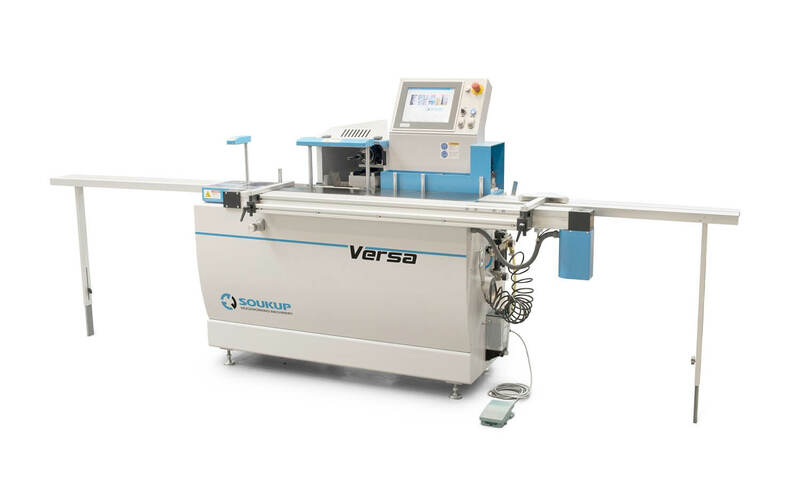 The VERSA is our compact CNC drilling and milling specialist. Precision and high flexibility are its strengths. Create a wide range of round mortises and tenons, precise dowel connections, or the most challenging hardware pocket requirements. Whether you are producing one-offs or large batches, jobs are easily managed through our WinCreator software and 10” on board touchscreen. 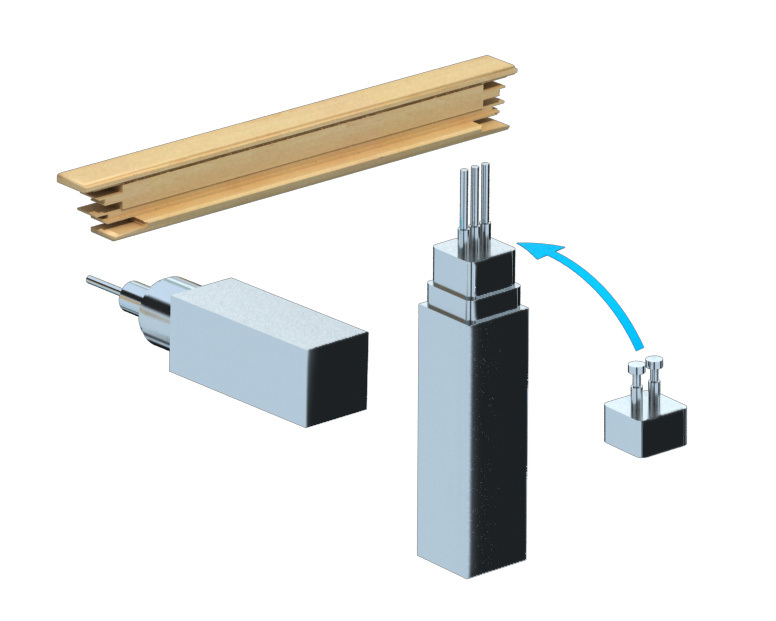 The lateral NC controlled working unit has 3-axis and allows drilling to any schema and mortising slots for tenons. Intuitive control of the machine is provided by a Beckhoff PC with a 10” touch screen which uses data from WinCreator where all macros are defined. 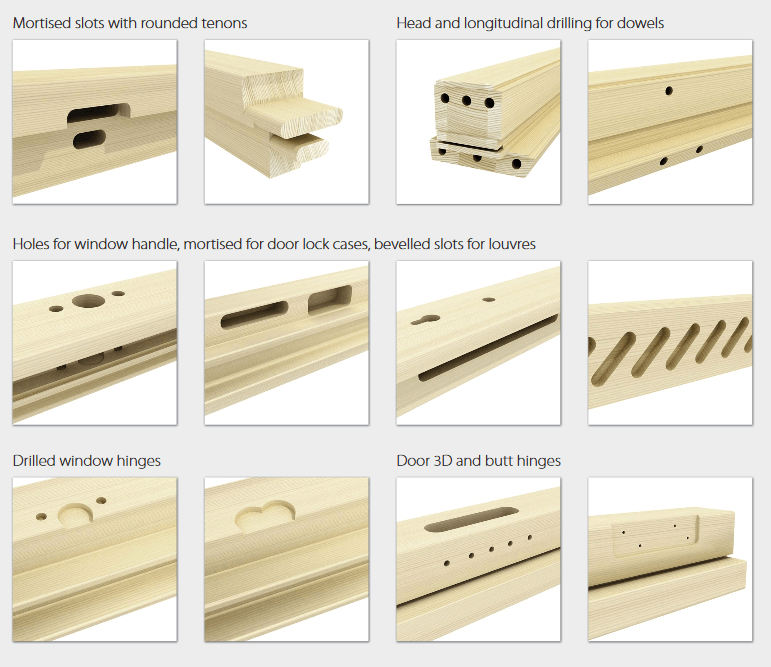 Construction joints, hinges and handle positions are derived from the window design dimensions. Another possibility is the direct insertion of macros on the element or using previously created templates that are stored in the library. The Versa is also compatible with major third-party CNC control software.